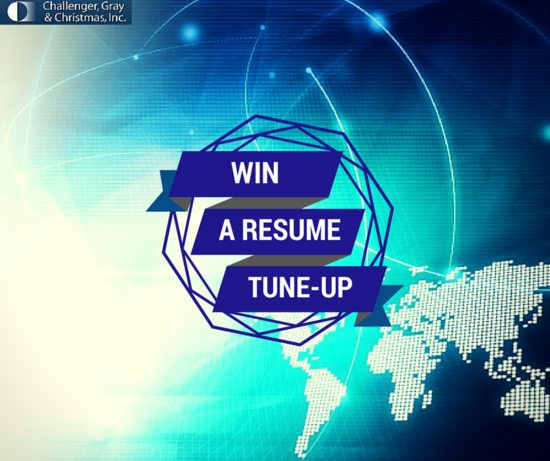 Like Us on Facebook And Enter to Win a Free Resume Tune-Up! | Page 2 | Challenger, Gray & Christmas, Inc.
Like Us on Facebook And Enter to Win a Free Resume Tune-Up! We post lots of great content on our Facebook page. By liking our page, you would have instant access to this information in your News Feed and could comment on our posts. As an added benefit, if you like our page, you’ll be entered to win a professionally written resume by one of our writers and a tune-up with one of our coaches! The contest will end and the winner announced on October 14th.